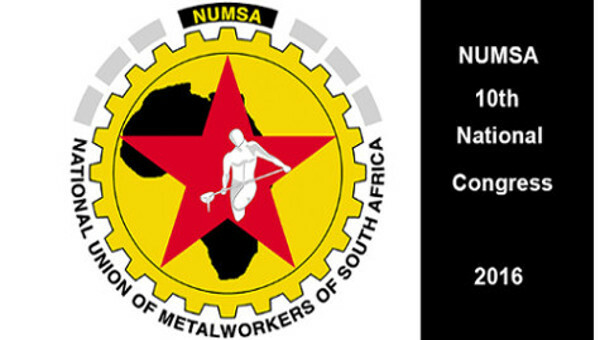 The expulsion of the National Union of Metal Workers of South Africa (NUMSA) from COSATU in November 2014 was a watershed moment in the post-apartheid labour movement. The expulsion is a product of, and has deepened further, the crisis in the Alliance between the African National Congress (ANC), Congress of South African Trade Unions (COSATU) and the South African Communist Party (SACP), as well as the internal crises of each of the three component parts of the Alliance. In addition to fighting inside COSATU for a radical shift amongst South African trade unions, NUMSA also played a major role in the establishment of a new United Front which held its first People’s Assembly in December 2014 under the slogan Kwanele Kwanele! Enough is Enough! A formal launch will take place in April 2015. These events come a year after NUMSA’s historic Special National Congress which called on COSATU to break from the Alliance; concluded that the possibility of the SACP returning to working-class struggle was ‘very remote’; resolved to take the lead in setting up a new United Front to bring together unions, social movements and community campaigns and also to explore the establishment of a new Movement for Socialism. Sam Ashman and Nicolas Pons-Vignon interviewed Karl Cloete (in Johannesburg on 19 December 2014), the union’s Deputy General Secretary, about a tumultuous year and the road ahead in 2015. Karl Cloete (KC): The unity talks to form COSATU started in 1981 and it took us four long years to agree on the formation of COSATU, its founding principles and policies, and so COSATU was only established in December of 1985. NUMSA was right in the centre of those unity talks, we did not ever apply to become a member of COSATU. COSATU was a product of collective struggle and the federation shook the South African landscape under the apartheid regime and played an important part in the 1994 democratic breakthrough. And so it could never be easy for NUMSA to find itself in a position where it would willfully undermine the continued existence of COSATU. But COSATU, particularly over the last eight years or so, has almost totally shed its independence. It has become embroiled in factional politics within the ANC and the SACP. The once glorious COSATU that used to be a campaigning formation has become an organization unable to take forward very critical struggles – around precarious work, around labour brokers and their impact, around unemployment, outsourcing, casualization, the privatization and commodification of services from national to local levels. COSATU has sadly turned almost into a lame duck, a sweet heart formation. Since our expulsion, we have been doing two things. On the one hand we are going to the courts of law to appeal against our expulsion because we think the decision was not just unfair but not acceptable for reasons we have repeated over and over again. We have also been continuing to appeal for the convening of a COSATU Special National Congress (SNC). One of the purposes and objectives of this would be to accept that COSATU has been unable to carry out any of its resolutions since its September 2012 national congress which called for the radical implementation of the Freedom Charter and for a ‘Lula moment’ in South Africa. This paralysis in COSATU has resulted in not a single resolution being implemented. We know that in Germany there are huge discussions about the introduction of a National Minimum Wage. Here we have allowed a situation where the ruling party says we will investigate over the next five years the modalities of a National Minimum Wage whereas in no time at all the ruling party signed into law the national youth wage subsidy, in law known as the Employment Incentive Tax Act, which provides very quickly for employers to get tax payers money to subsidize employing unemployed young people on lower rates of pay – though there is no certainty that the money would go into what it isintended for. COSATU has done absolutely nothing around championing the struggle for a National Minimum Wage which is essential given the huge levels of unemployment we have, and the kind of wage determination we have in the agricultural sector and so on. We think that NUMSA remained committed to a COSATU which is independent, worker controlled and democratic. COSATU has that history, and that is not something you walk away from very easily. play is probably limited to elections every five years, i.e. to forming part of the ANC’s election machinery. Beyond that, COSATU has a real struggle to influence policy. That has been the case over the last 20 years, it is not something which started yesterday. If you look at the Reconstruction and Development Programme (RDP), it was a COSATU sponsored idea. In fact it originated within NUMSA as the Reconstruction Accord. We felt the new government should do certain things to reconstruct our country, to move away from white minority rule at the expense of the black majority and to have some redistributive policies to ensure the skewed ownership and control of the South African economy was addressed. Even the RDP became a compromize of sorts between the alliance partners but even after the compromizes the RDP office in the government was closed down, without consultation, and a new economic framework in the form of GEAR was introduced in 1996 and from then on we have seen an active neoliberal path undertaken by the ANC government. If you fast forward to the National Development Plan, it follows exactly the same pattern. 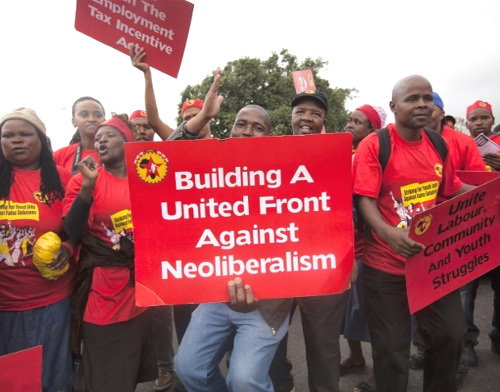 COSATU, a supposed alliance ‘partner’, is a mere rubber stamp for neoliberal policies. And so if you ask me what has gone wrong, it goes as far back as the RDP and the contestation over the direction which the South African economy must take immediately around the time of democracy. I think that it is useful for the ANC government to have a labour federation allied to itself, but one which will not make too many noises about where the country must go. Politicians say ‘yes were are in alliance but we are in government and you must allow us to govern.’ But on which policy platform do you govern? Cleary if the main constituency of the ANC is the working-class and the rural poor then many of the policies implemented by the ANC government are an attack on the working-class and the poor. COSATU is running alongside the bus, not having a driver’s seat, if it gets on the bus it doesn’t have a passenger seat, it has to stand on a very long journey and fatigue has set in. It is unable to fight back. multiple leadership roles. The President of COSATU sits on the Central Executive of COSATU but he is also a member of the SACP Central Committee, a member of the SACP Politburo, and a member of the ANC’s National Executive Committee. So COSATU can today take a position, for example let’s fight e-tolls in Gauteng but then you leave COSATU and you go and sit in the ANC NEC, and the ANC NEC says no, e-tolls are necessary, to expand public roads we need payment etc., and you are in compromising position. You have your COSATU CEC position, but you are persuaded differently in your ANC NEC position, and in your SACP position and you get stuck. And what happens invariably is that you compromize COSATU’s position to campaign against e-tolling. The third problem in COSATU that has resulted in where we are now is that the ANC and the Party have started to say to COSATU that its outlook has become ‘oppositionist’, no different to the Democratic Alliance. We are told that we speak a language which is anti-ANC and anti-Alliance, that we work with civil society formations which are anti-ANC and anti-Alliance, and that as a trade union movement we have become ‘too political’ with very little time is spent on workplace, industry and sector related issues. These arguments are coming externally from the ANC. Internally you have to make choices. You have radical resolutions. You have programmes and campaigns. And so that contestation becomes factionalized – with one faction supporting the status quo and the ‘voice of reason’ coming from the ANC and SACP, and the other faction saying that our loyalty is to the membership, and to our resolutions, campaigns and programmes. And that tears the organization apart. This is why in the current crisis we cannot see the ANC as an objective mediator as it is the ANC, and the SACP, which is responsible for the crisis in COSATU in the first place. SA-NPV: COSATU has now said that it will hold a Special National Congress in 2015. Do you think the unity of COSATU still can be saved? Or do you think the time has come for NUMSA, and the unions supporting NUMSA, to build a new independent federation? KC: A couple of things need to be mentioned here. Firstly the dominant faction within the ‘voice of reason’ brigade is constituted by the mainly public sector unions. That is interesting for a number of reasons. The first reason is that in June 2013 at the SACP 13th National Congress in KZN there is a paper delivered that calls for a different way of organizing in the public sector. It is along the lines of ‘take responsibility for the revolution’ – i.e. public sector unions, unlike private sector unions, must appreciate that government has a number of programmes and unions must not be in opposition to those programmes. Unions must be for better public sector service delivery, even if it is under austerity measures and conditions. So your role must be different to those in the industrial sectors or mining. And so necessarily that perspective plays itself out within COSATU and it relates to my earlier point about the President of COSATU being a very senior member of the SACP and the ANC NEC etc. So there is a drive to impose on the federation the kind of perspective that says we must criticize government on occasion, but we must also take responsibility for the National Democratic Revolution. So increasingly there has developed a divide between private sector unions like NUMSA and FAWU and the public sector unions. POPCRU, the police and prisons union, took a position in its October 2014 Central Executive Committee that says the union now regrets the September 2012 national congress resolution calling for a Lula moment. We now, it says, understand this to be an anti-ANC position and we understand this to be one of the reasons why NUMSA is calling for the establishment of a United Front and so we regret that we formed part of this resolution. POPCRU say also that it regrets taking part in the campaign against e-tolls because it is an anti-government campaign now bordering on criminality with people deciding not to pay what is owed to the government. In these two examples, I want to demonstrate that there is a divide between the public and the private sector unions. It is something that has existed for long time. A COSATU under a presidency from the industrial proletariat would be different. I think you can trace this divide and how the public sector unions are continuing and deepening their conservative perspectives. It has become clear in the public sector unions, if you voice a view against the conservative right wing leadership you get purged. There are a number of examples. In the teachers’ union the former president got suspended, the same in POPCRU, the same in SAMWU. At all levels there are purges. There is no tolerance of dissent. In SAMWU there have been unlawful suspensions, expulsions and dismissals of members. The courts have held up claims for reinstatement and the leadership has just ignored the courts’ rulings. This has brought many in the public sector to realize that the leaders of NEHAWU, SAMWU, the teachers’ union, POPCRU etc. have turned completely against their own constitutions and members and the levels of corruption in these unions are such that people are expelled if they speak out. Democratic practices are thrown out of the window. So people have decided it is time to challenge the dominance of a conservative, right wing and corrupt leadership in these unions who behave more as though they are shop stewards of the ANC and the SACP within the union. This is the reason behind the call for the formation of a new public sector union. This has nothing to do with NUMSA, it would be wrong for us to call for this, but I do thing that people were inspired by the resolutions taken at the December 2013 NUMSA Special Congress where we said we need a COSATU, but not any COSATU, a COSATU which is independent, democratic, worker controlled, anti-imperialist, and socialist orientated, not a labour desk and a rubber stamp politically for others. Therefore if we want to see the unity of workers in South Africa then COSATU must break away from the Alliance. That is NUMSA’s call and people got inspired by it. In COSATU at the moment you have eight other unions against the NUMSA expulsion. discussions to resolve the issues in COSATU. And that must tell us – are we closer to regaining and reclaiming COSATU or are we at a tipping point? COSATU’s President says over and over again that NUMSA is expelled but metal workers must remain within the federation. The ANC, the SACP, and some within COSATU, have gone to the extent of helping to build a rival to NUMSA. That rival has now applied for membership of the CEC and so it is clear to us that they do not want NUMSA back. It is also clear to us that they want now to go to an SNC without NUMSA present. They refused to name the date for an SNC when NUMSA was inside COSATU. Now NUMSA is outside, they have finally given us a date. So I think that the expulsion is irreversible to them. Why go to courts then, people ask us? Why not just move on? Partly because we want to expose the deliberate project to get NUMSA expelled and partly because we want to try to ensure there is respect for the rules of the federation as summed up in the constitution of COSATU. I personally don’t foresee a situation under the current leadership, even if there is a SNC, whereby COSATU can be rescued. That’s my personal view. The view of my organization is to fight to reclaim COSATU even if you need to use the courts, and if all else fails then you must begin the process of building a new labour federation. It is painful, when you give birth to something and you are no longer a part of it, a divorce of some sort, but you have to move on. The reality is that only 30% of workers in South Africa are organized into unions. 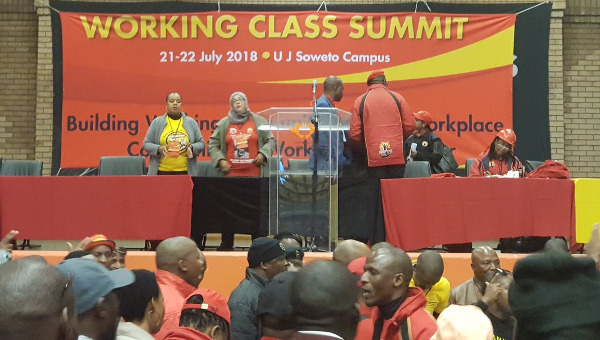 And the major federations – COSATU, FEDUSA and NACTU – have resolutions saying one country, one federation, but they have not been able to make any significant steps in that direction. We think partly the reason for this is that COSATU remains inside the alliance, whilst NACTU and FEDUSA and other independent unions are currently non-aligned. So for the past 30 years there have been no mergers. This is a question of time. There will be a massive break from COSATU in my opinion. COSATU will continue to huddle along, crippled by big conservative unions, but it will be a COSATU which cannot follow its own advice as articulated in the September Commission which foresaw these developments and suggested there were a number of scenarios, one being that COSATU would not be able to transform itself to ensure that it remains relevant to workers. That’s the sad part, for me at least. SA-NPV: Internationally public sector unions are often on the left and in the forefront of fighting austerity. 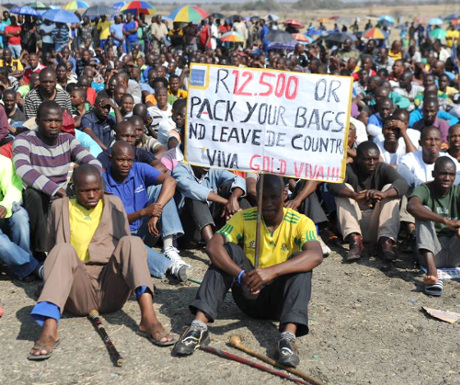 In South Africa too, the huge public sector workers’ strikes of 2007 and 2010 challenged the idea that workers could not fight ‘their own’ government. Are the positions adopted by South African public sector unions more a question of the standpoint of the leaders, and not the members? KC: I don’t want to sound like I follow a conspiracy theory, I don’t, but if you look at that big public sector strike, it was probably the last. If you look at the position taken by the SACP it has to be the last because the militancy of the membership was clear for all to see. And so over time you have had to tone down, tone down, and tone down. Move between that strike and collective bargaining now. The Minister of Finance in the Mid Term Budget categorically said do not expect more than an inflation related increase for public sector workers. This is taking collective bargaining out of the chamber into a unilateral statement. What kind of good faith bargaining is that? You go back to negotiations and the government representatives tell the public sector unions ‘but you’ve heard the minister, there is nothing we can do, even if we wanted to, this is what the minister and the government is saying.’ I would be surprised if that same militancy can be generated again. I see they have deferred negotiations to January next year because they are in deadlock. But I would be very surprised if the militancy of the rank and file would get close to the biggest strike we saw last time around. It is not that the membership don’t understand – they do. They understand clearly that many of them are not permanent workers and their union leadership do not address this, they understand the huge salary gaps within the public sector and they know that the leadership of their unions do not say anything about this, they would feel insulted when the minister of finance says public sector workers should not expect much and there is no suggestion of mass action coming from the leadership. So if the leadership should call strike action now it would simply be to cover their own weaknesses and to use workers to maintain the leadership’s status and position. So I think the project was a simple one. There’s the big strike, and the position on it taken by the ANC and the SACP, and fast forward to June 2013 when there is an appeal from the party to say that public sector unions cannot do what private sector unions can do. KC: With South Africa becoming the service delivery capital in the world, we must appreciate that the neoliberal policies imposed on our people are resisted but that it is a leaderless resistance. It has no direction. Sometimes the protests get violent and the anger and frustration is not properly directed. And so we need a new United Front to bring together workplace and community struggles. We saw the beauty of it in March 2014 when NUMSA led a United Front battle and national strike against the employment incentive tax act and we intend, for the March 2015 budget, to have a national strike against austerity measures and what will emerge in municipality’s budgets so we address the water, the sanitation issues etc. It is strange for us. One day the SACP says that NUMSA is a ‘workerist’ formation, the next day they say we are too political, go back to the workplace. But politically we have always believed in community and workplace struggles coming together. In the beginning of 2013 you will recall that Eskom wanted a tariff increase close to 18 per cent. We worked hard over the holiday of December 2012 and into 2013 making our presentation for the public hearings and we demonstrated and we threatened a national strike. Both the leadership of COSATU and individual unions and the SACP told us, you can’t behave like you are a federation. But our point was simply this: we could see that the federation was not doing anything to organize against this huge tariff hike. And that for me is a demonstration of how we should bring communities into worker action and worker action into communities. Like with the employment incentive tax act, we must take to the streets to bring communities and workers together. These must be the examples of what we do going forward. It is not as though the ANC will abandon its neoliberal policy path. We know that they have abandoned the Freedom Charter and dumped the RDP. And so what we are contending with is a capitalist state which has taken over the ANC. As the ANC thought it would restructure and transform the state, we thought ourselves that swelling the ANC was necessary strategically. Well, many got swallowed up by the ANC instead. We could make no break or difference in direction. So we need this United Front to consistently and continually struggle against neoliberal policies. In fact People’s Power, as espoused by the ANC itself, has been abandoned and the masses have become spectators of being governed even if not to their benefit or in their interests. So this is a re-awakening. We have got to take our power back and say that if you want to change public education, for example, you have to struggle, whether over the content of the curriculum or over the basic infrastructure of education. The fact that in South Africa in 2014 a poor child can drown in a toilet pit must be a demonstration of that fact that there is just no political will or urgency to transform the old state. residence of the president and parliament goes to great lengths to defend this disgrace. Parliament has turned into a complete circus, not producing any significant act speaking to the so called second radical phase of transformation. It is a pipe dream. If we don’t get onto the streets, we are not likely to change things. KC: Well, I always say, it will never be easy for the simple reason that the ANC is a 103 year old national liberation movement, though whether they are still such a movement is the better question to ask. In Africa and third world countries you will find huge sentimental attachment to the party that liberated the people. But, next door in Mozambique for example, you see huge and growing inequality and you see also the reduction in electoral support for the ruling party to 57 per cent. It tells you something. We have no illusions that it will be hard work. But it is necessary work politically to get people to regain their own confidence. In South Africa you see the same electoral decline in support for the ANC. Many who have remained loyal to the ANC this time around decided not to vote. If you hone into some of the metros, the ANC has lost its grip. I am not a sangoma, but I think the ANC is likely to lose Nelson Mandela Metro – either to the DA or, alternatively, to the Left Platform. And this is what we must discuss at the launch of the United Front in April next year. Are we ready to field candidates for local government elections in 2016, and on what platform, or would a Workers’ Party have been formed to contest elections? The ANC is very nervous. In recent weeks the ANC president has been down to the Nelson Mandela Metro, Mantashe is camping out there, Jesse Duarte has been there too. In Gauteng, they are worried about Ekurhuleni, the City of Johannesburg, Tswane. The ANC in Gauteng has realized it is losing the middle class and it is turning against e-tolls as a result and fighting the national government around this question. How do you contest the ANC for electoral power? I don’t think the United Front should stand in every area, instead we should target areas because we want to build confidence and not contest to lose so we need to do a thorough assessment. We should maybe leave the city of Cape Town for now but I would certainly go into Nelson Mandela and Ekurhuleni. I think people when given a proper political and economic explanation will come closer to the fact that we need a political and economic alternative. Many people know – I am still living in a shack in Orange Farm 20 years later, I still don’t have a tarred road, my child must wake up at 3am to walk to school by 8am, there is no public transport, in the school there are no desks, when it rains we have to huddle together. And it is this reality that opens up the space between the liberation talk and being a so-called disciplined force of the left but implementing right wing capitalist policies. 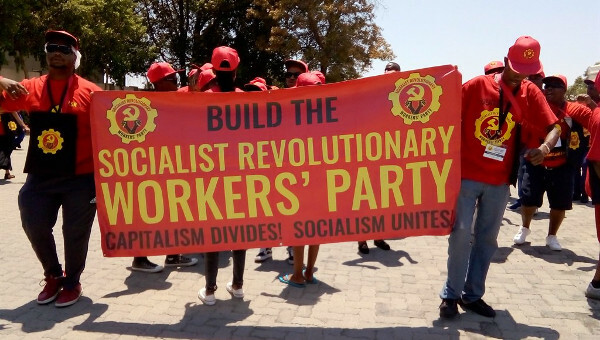 In this process you expose also the political and ideological bankruptcy of the SACP which is embedded in the state and regards the state as a key site of struggle and yet cannot defend the miners that got killed at Marikana, calls Marikana a tragedy not a massacre, calls workers who want to organize on the mines ‘vigilantes’ and ‘counter-revolutionaries’ and this from a party supposed to unite the working-class. That will unravel for the ANC, for COSATU and for the SACP. And so it is going to be hard work. When your power and wealth is threatened you are going to respond in a manner that will be brutal. We have seen that in all revolutions. But I guess somebody had to take the step and one must say that it is still a bit of a dream to wake up from. NUMSA had so eloquently defended the alliance of the ANC and SACP and yet came to this groundbreaking decision in December 2013 that we have no good story to tell, despite 20 years of democracy. Everything remains the same – the economy, social life, cultural life. Vavi has written an open letter to SACP members. NUMSA has also released its own critique of the SACP. The two together, just going by social media, definitely have potential to open up new thinking and expose very thoroughly how the SACP welcomed GEAR only to change track because of workers’ struggle. There is nothing they have not welcomed which is capitalist in character, and nature and content which is thoroughly exposed in the letter. They will come back with mudslinging and labelling of course but I think the point has been registered. SA-NPV: How do you see NUMSA going forward as a trade union of metal workers? How far should NUMSA try to steer all these different processes and struggles? example, together with an employer body in the engineering sector NEASA, have a campaign to undo centralized, collective bargaining, to roll back workers’ gains and create a two tier labour market. That is our biggest fight going forward. We see de-industrialization and we think there is no better time than now to re-industrialize. Beneficiation is all about talk but there is no action or implementation. We can see forthcoming economic relations with China, particularly in terms of trade, are going to change the economic landscape. China is all about its national interest. If that means exploiting our mineral wealth and everything else for their development, supposedly under the theme of working with the South African government and creating more jobs and so forth, they will do it. It is going to be about how China can benefit from the South African economy. So NUMSA has a task. We have bargaining in Eskom in 2015 and we have 2016 bargaining in all the metal and engineering sectors and autos. We have a plan up to our national congress in 2016 that requires internal union work to service the membership but also to speak to broader socio-economic issues. This is why when the United Front elected an interim committee it did not contain the General Secretary or the Deputy General Secretary. We took a conscious decision about that. We are the face of the organization as a trade union and we must continue with this. We are happy to provide assistance of course. When the time arrives for the Workers’ Party to be established, many of us will remain in the union because the union has a very specific task. The union should be militant against a Workers’ Party if that Workers’ Party should act against the interests of the working-class. You need that independence and distance. There is no guarantee that corruption would not enter a Workers’ Party because you operate within the framework of a capitalist state and good people become compromized. Deputy President Cyril Ramaphosa addressed farm workers recently and called for a moratorium on farm evictions and the farm workers were laughing at him. We are saying that on all fronts that an alternative is necessary, but what NUMSA must never change is the foundation on which it rests – fighting oppression, discrimination and exploitation wherever it is in society and ensuring working-class control in the economy, dealing with gender inequality, taking up shop floor issues, health and safety, essentially remaining the same and relevant and recruiting also. union, to respond to the needs of workers is central and non-negotiable. What happens in addition are necessary add-ons. Whether it’s the United Front, building a new labour federation or building a new Workers’ Party it’s a whole host of things requiring lots of time, energy and commitment but that is where we are, and how we have to move forward. A shorter version was published on the Global Labour Column website. Karl Cloete is the Deputy General Secretary of National Union of Metal Workers of South Africa (NUMSA).